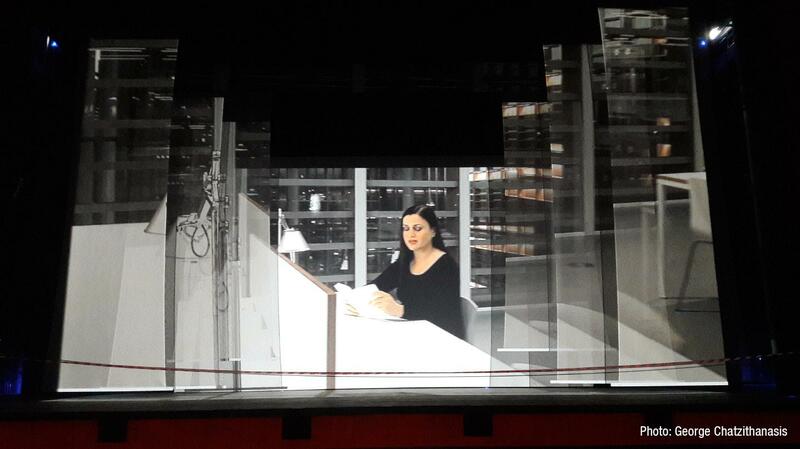 The Stavros Niarchos Foundation (ISN) donated the brand new Stavros Niarchos Foundation Cultural Center (SNFCC) to the Greek government for the Greek National Opera and Greek National Library during a spectacular celebration on February 23rd 2017. The ceremony opened with official speeches followed by concerts, dance shows and theatrical events, highlighting the adaptability of the new space. The production was directed by Thomas Moschopoulos and produced in close collaboration with his creative team and VIEWMASTER SA. 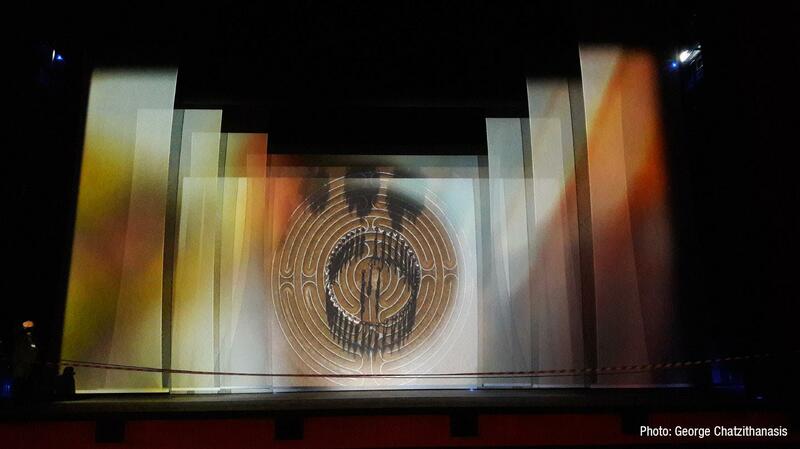 They worked with Gerriets Hellas to develop creative projections with 3D effect for the mainstage performances using 360 m² of Gerriets CARMEN and 1200 m² of Gerriets PARSIFAL vision gauze materials. 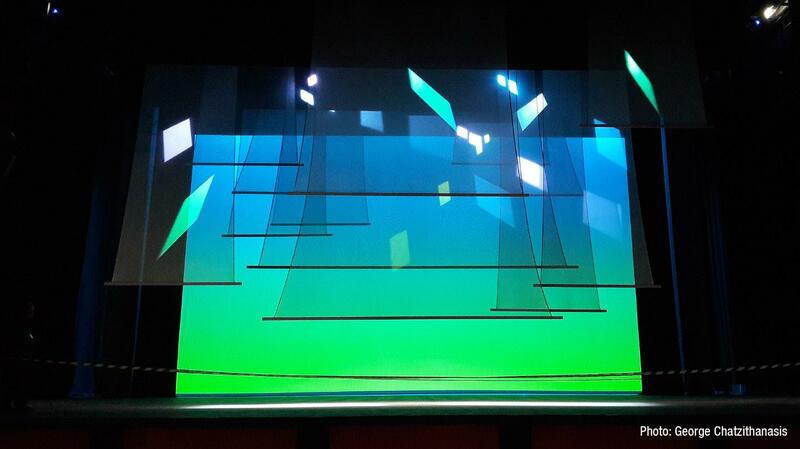 The vision gauzes were used to display the projections on different levels and heights using the latest in projection technology. PARSIFAL is a lightweight FR cotton bobbinet with a fine hexagonal mesh that offers maximum transparency. Note that it is delicate and requires careful handling to prevent tearing. Available in natural, black and grey. Custom dyed colours on request. 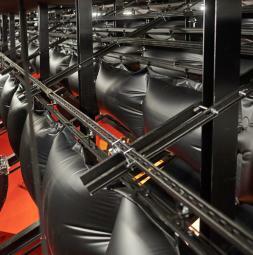 Do you want to know more about the science behind our aQflex™ product? Then we recommend the book "Rock and Pop Venues" by Niels Werner Adelman-Larsen, owner of the company Flex Acoustics and creator of the product aQflex™. 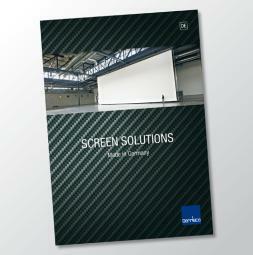 SCREEN SOLUTIONS shows our entire screens portfolio including numerous reference projects. Request your personal copy today. Astonish your audience and visitors with magical moments. 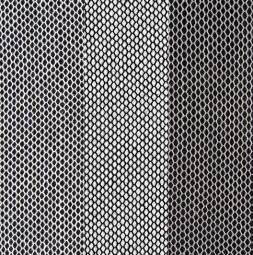 Due to the crystal-clear nature of the screen, INVISCREEN® is not visible during the day. 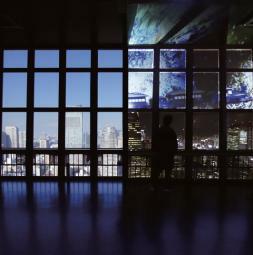 At night or in dark rooms one can project onto the highly transparent polyester screen. 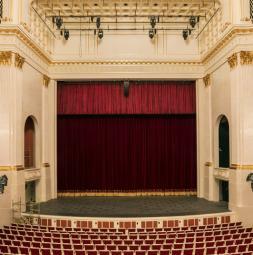 On 3rd of October 2017 the ensemble of the Berlin State Opera Unter den Linden was able to relocate the historic opera house after seven years of general restoration. 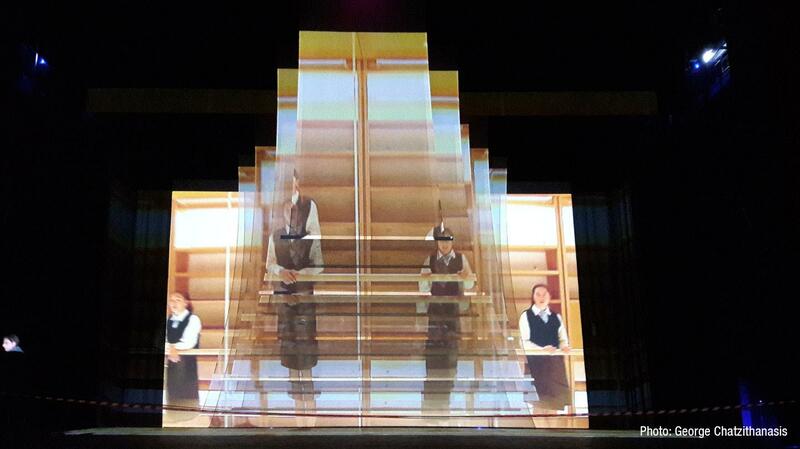 In compliance with monument preservation aspects amongst others the stage technology was renewed. The sustainment of the preserved historical character of the opera house played an important role. 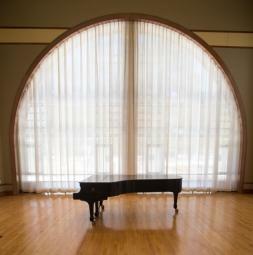 Therefore, Gerriets manufactured the main curtain after historical model and in careful manual work. 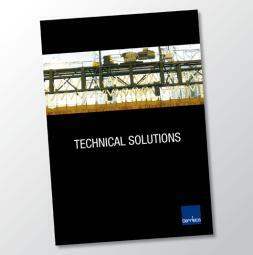 TECHNICAL SOLUTIONS shows our entire technical portfolio including numerous reference projects. Request your personal copy today. Keith Roeckle, Director of Instrumental Studies at the Lawrenceville School explained the value of the ABSORBER LIGHT curtains to them: “The new curtains in Dresdner Hall have provided us with a unique situation – not only do they perform a visually aesthetic function, they provide a means to change the room to the purpose. 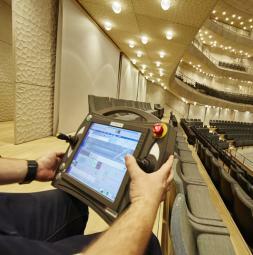 Use of variable absorber systems in the Great and Small Hall of the currently most famous concert hall in the world. Special feature: a worldwide new technology is used in the Great Hall. 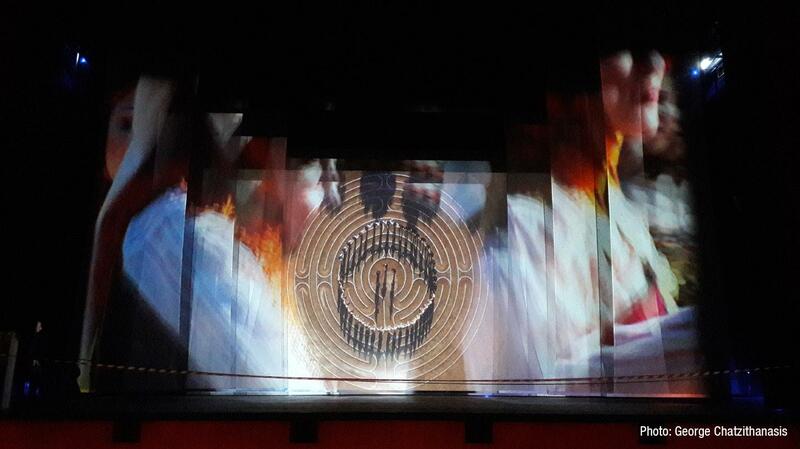 Here, the acoustic roller banners are not lowered from the ceiling, but are moved upwards from the parquet floor.